Imported from China. THIS IS A VERY DELICIOUS BLACK TEA. This is a neat piece of history. It is the same as the tea that was thrown into Boston Harbor at the Boston Tea Party during the American Revolution. This tea is still made in Yunnan province in China in the same way as it has been made for centuries. It is hand pressed under tons of pressure and cured, making a very hard block of tea with an infinite shelf life if wrapped and sealed. In the 18th Century, wealthy people would frame a block of tea and hang it in a prominent place, thus demonstrating their affluence. The tea brick measures 7 1/2 inches by 4 3/4 inches. 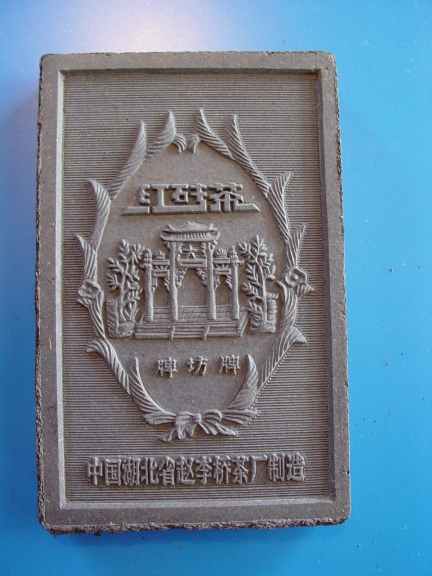 The front of the tea block has Chinese pictures and writing on it which translates broadly to “Heavenly drink for humankind”. 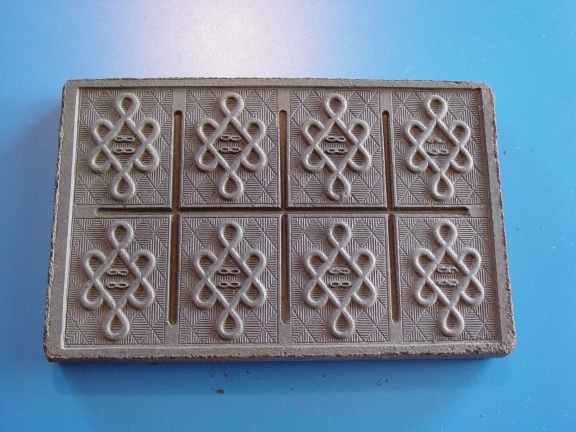 The back is scored into 8 squares.